Buyers Beware, 5 Hypnotic Home Staging Techniques- and How to See Through Them. We all know how important home staging is if you’re trying to sell a home. It’s equally important when you’re buying real estate for exactly the same reasons. Just like a person you meet on a blind date, staging is all about highlighting assets and deflecting your attention from any flaws. As a buyer, you have to learn to look past the staging and see what lies underneath. That’s not as easy as it sounds because clever staging can be hypnotic. I once had a client who called this the "vortex of cute." If you hear yourself oohing and aahing over wall hangings or a fabulous sectional, watch out! Even if you’re buying a furnished home, which is rarely the case, you're focusing on the wrong thing. Understanding hypnotic staging techniques will help you break their spells. Here are five of the most common, along with corresponding tips that will help snap you back to reality so that you can really see what you’re buying. Hypnotic Staging See-Through #1: Tiny Furniture. I’m sure that you’ve gone through your closet at one time or another to put together an outfit that made you look smaller than you are (fine, then – I’ll speak for myself!). Well, house staging aims to accomplish the exact opposite. By opting for very small furniture, rooms can be made to appear much larger than they really are. That can be a problem if those rooms don’t accommodate your lifestyle. I’m not recommending you turn away from a potential home just because it won’t fit your Nana’s custom-made-for-her-13-kids-and-their-spouses dining room table. But if the 'kids bedroom" won’t fit a standard-sized bed and dresser, or you’d have to be the size of a Barbie doll to fit on the chaise lounge that the living room is sized to fit, you’ve got a problem. Should you fall in love with a place that's heavily staged with tiny furniture, bring measurements of your furniture and a tape measure on your second look to make sure they’ll actually, comfortably fit. Hypnotic Staging See-Through #2: Camoflauge and Cover-Ups. Just like baked cookies can make a house smell homey, gauzy wall and window coverings and soft music can make it seem positively dreamy. Downside: they can also camouflage a whole lot of nastiness. Don’t be fooled: investigate. You need to know what the natural light and sounds will be like after the gauze is gone, so ask for the music to be turned off and throw open the curtains. Then look outside the various windows to see what’s out there – I’ve seen power poles, neighbors’ patchwork roof repairs and even, once, a backyard dog fighting ring, obscured by gorgeous window coverings. Speaking of looking, make sure you draw back any and all coverings, and open all closet and cupboard doors. I know a homeowner who only found out after she had purchased her home that the built-in microwave was powered by an extension cord. She hadn’t wanted to snoop, so (much to her electrician’s subsequent delight) she simply didn’t check behind door #17. Hypnotic Staging See-Through #4: Any item that seems to be there strictly for appearances. Décor can often hide or diminish the appearance of flaws that seem like small potatoes in light of the overall fabulosity of the place, but can actually prove expensive to change. So check for items that seem like they might have been put in just for looks—including curtains, rugs, paintings and doorways with no doors on them—and then don your sleuthing hat to figure out what flaws they might be concealing. Water stains and wall cracks can be covered up (sometimes intentionally, sometimes not) by area rugs and wall hangings, and wonky floor plans can be staged as more open by taking the doors off their hinges. Hypnotic Staging See-Through #5: Neighborhood staging. Before you get off investigative mode, you’ll also want to check out the neighborhood. Not the staged neighborhood -- the real thing, warts and cars on the lawn and screaming schoolkids and all. I've actually seen neighbors move their cars and refrain from their normal (noisy) activities when there’s an open house on the block. Even without that kind of intentional neighborhood staging, most open houses are held on a relatively calm days of the week and times of day, when traffic is light and noise is low. To get the real scoop, make sure to visit the house at different times of day and on different days of the week in order to determine what the noise levels are like at evenings and weekend. You also want to make a point of showing up at the hours you’ll normally be coming and going, so you can check to see how easy it is to get in and out of the driveway vis-a-vis traffic and what the noise levels are like at evenings and weekend. Agents: What staging see-throughs have you developed over the years? Buyers and Sellers: What about you? What staging techniques have you found to be powerful – or pitiful? 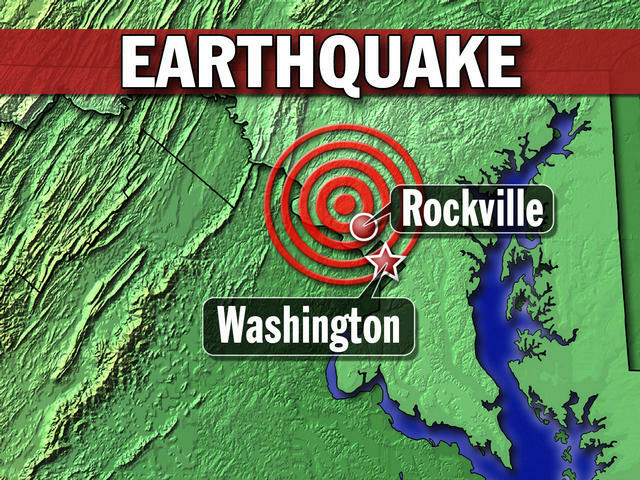 One of the strongest ever recorded earthquake in the east coast shakes Washington D.C. and the Metro area this afternoon at 1:51 pm. Until this news posted no death is reported but some people injured. According to the U.S. Geological Survey the quake initially recorded the quake at 5.8 magnitude but later upgraded it to a 5.9. So as we all know, in August the East Coast experienced both a 5.9 magnitude earthquake as well as Hurricane later that week. For those of us who have lived in this area our whole lives, this is unusual news. As such, most of us were unprepared or scared by these events, since they didn't fit into our sense of reality in our lives. Perhaps because of climate change, we need to rethink what we need to be prepared for, and to experience. This week in October, we also had a freakishly early ice/snowstorm..which downed trees and left millions without power. Millions are still without power up the East Coast, and it may still be another week before they get their electricity restored. This is not meant to scare anyone..these are pretty much freak occurances around here....at least for the past hundred years. 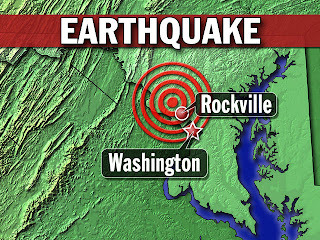 And then finally the laundry room stopped screaming metal noises,the earth and my house stopped shaking, but I continued to personally shake for about another hour and a half. Luckily we didn't lose power, and a few minutes later CNN told me that we had an earthquake, which in some ways was comforting, and in other ways, confounding to me. Nevertheless, now I know what it feels like, and have been educated by experience. But it made me aware that we need to know what to do in these situations, as evidenced by how me, people in DC and all the surrounding areas, all up and down the East Coast...did things exactly WRONG as we should have, so I am sharing some valuable information with you all ...not only us in the East Coast, but travelers to the West Coast and all over the globe, in case you find yourself in a confounding experience like we did. Please read and try to remember in case of an emergency. This is an eye opener. Directly opposite of what we've been taught over the years! My name is Doug Copp. I am the Rescue Chief and Disaster Manager of the American Rescue Team International (ARTI), the world's most experienced rescue team. The information in this article will save untold lives in an earthquake. I have crawled inside 875 collapsed buildings, worked with rescue teams from 60 countries, founded rescue teams in several countries, and I am a member of many rescue teams from many countries. I was the United Nations expert in Disaster Mitigation for two years. I have worked at every major disaster in the world since 1985, except for simultaneous disasters. The first building I ever crawled inside of was a school in Mexico City during the 1985 earthquake. Every child was under its desk. Every child was crushed to the thickness of their bones. They could have survived by lying down next to their desks in the aisles. It was obscene, unnecessary, and I wondered why the children were not in the aisles. I didn't at the time know that the children were told to hide under something. Simply stated, when buildings collapse, the weight of the ceilings falling upon the objects or furniture inside crushes these objects, leaving a space or void next to them. This space is what I call the 'triangle of life'. The larger the object, the stronger, the less it will compact. The less the object compacts, the larger the void, the greater the probability that the person who is using this void for safety will not be injured. The next time you watch collapsed buildings, on television, count the 'triangles' you see formed. They are everywhere. It is the most common shape, you will see, in a collapsed building. 1) Most everyone who 'ducks and covers' WHEN BUILDINGS COLLAPSE, are crushed to death. People getting under objects, like desks or cars, are crushed. 2) Cats, dogs and babies often naturally curl up in the fetal position. You should too in an earthquake. It is a natural safety/survival instinct. You can survive in a smaller void. 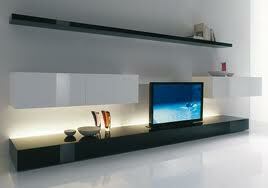 Get next to an object, next to a sofa, or a large bulky object that will compress slightly but leave a void next to it. 3) Wooden buildings are the safest type of construction to be in during an earthquake. Wood is flexible and moves with the force of the earthquake. If the wooden building does collapse, large survival voids are created. Also, the wooden building has less concentrated, crushing weight. Brick buildings will break into individual bricks. Bricks will cause many injuries but less squashed bodies than concrete slabs. 4) If you are in bed during the night and an earthquake occurs, simply roll off the bed. A safe void will exist around the bed. Hotels can achieve a much greater survival rate in earthquakes, simply by posting a sign on the back of the door of every room telling occupants to lie down on the floor, next to the bottom of the bed during an earthquake. 5) If an earthquake happens and you cannot easily escape by getting out the door or window, lie down and curl up in the fetal position next to a sofa, or large chair. 6) Most everyone who gets under a doorway when buildings collapse is killed. If you stand under a doorway and the doorjamb falls forward or backward, you will be crushed by the ceiling above. If the door jam falls sideways you will be cut in half by the doorway. In either case, you will be killed! 7) Never go to the stairs. The stairs have a different 'moment of frequency', (they swing separately from the main part of the building). The stairs and remainder of the building continuously bump into each other until structural failure of the stairs takes place. The people who get on stairs before they fail are chopped up by the stair treads - horribly mutilated. Even if the building doesn't collapse, stay away from the stairs. The stairs are a likely part of the building to be damaged. Even if the stairs are not collapsed by the earthquake, they may collapse later when overloaded by fleeing people. They should always be checked for safety, even when the rest of the building is not damaged. 8) Get Near the Outer Walls Of Buildings Or Outside Of Them If Possible - It is much better to be near the outside of the building rather than the interior. The farther inside you are from the outside perimeter of the building the greater the probability that your escape route will be blocked. 9) People inside of their vehicles are crushed when the road above falls in an earthquake and crushes their vehicles; which is exactly what happened with the slabs between the decks of the Nimitz Freeway. The victims of the San Francisco earthquake all stayed inside of their vehicles. They were all killed. They could have easily survived by getting out and sitting or lying next to their vehicles. Everyone killed would have survived if they had been able to get out of their cars and sit or lie next to them. All the crushed cars had voids 3 feet high next to them, except for the cars that had columns fall directly across them. 10) I discovered, while crawling inside of collapsed newspaper offices and other offices with a lot of paper, that paper does not compact. Large voids are found surrounding stacks of paper. In 1996 we made a film, which proved my survival methodology to be correct. The Turkish Federal Government, City of Istanbul, University of Istanbul Case Productions and Paratrooper to film this practical, scientific test. We collapsed a school and a home with 20 mannequins inside. Ten mannequins did 'duck and cover,' and ten mannequins I used in my 'triangle of life' survival method. After the simulated earthquake collapse we crawled through the rubble and entered the building to film and document the results. The film, in which I practiced my survival techniques under directly observable, scientific conditions, relevant to building collapse, showed there would have been zero percent survival for those doing duck and cover. There would likely have been 100 percent survivability for people using my method of the 'triangle of life.' This film has been seen by millions of viewers on television in Turkey and the rest of Europe, and it was seen in the USA, Canada, and Latin America, on the TV program Real TV. Spread the word and save someone's life...The Entire world is experiencing natural calamities so be prepared!